There’s nothing like the pure luxury of a hotel bathroom so it’s no surprise there’s a trend for recreating the look in our own homes. 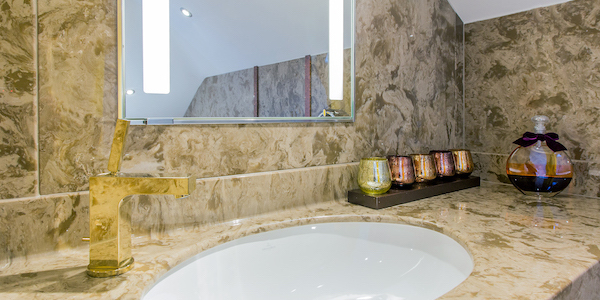 From metallic accents, to patterned tiles, there are plenty of ways to transform your bathroom into the five-star sanctuary you’ve been dreaming of. 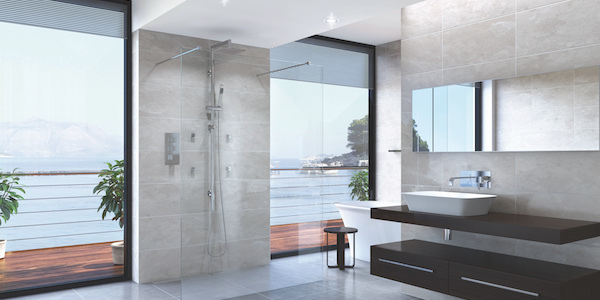 At Langley Interiors we’ve rounded up some of our favourite bathroom interior trends to inspire you. 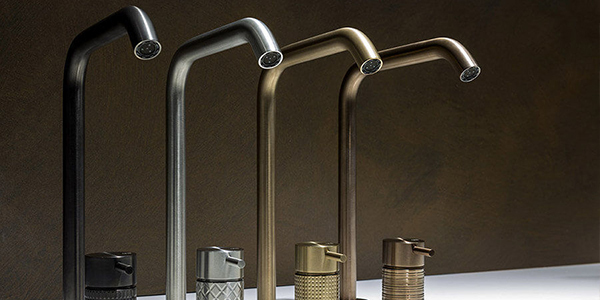 Nothing looks more chic than the addition of brass fittings and accessories for a modern bathroom. 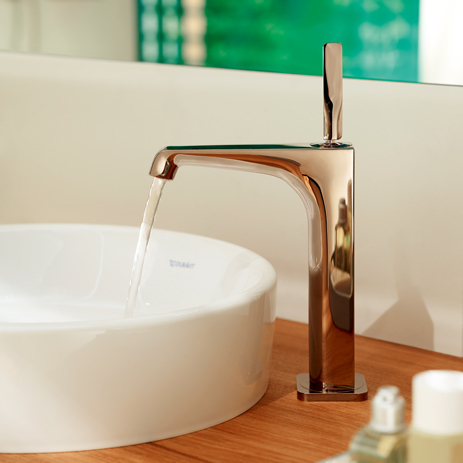 From taps by Hansgrohe and Axor, to towel rails by Bisque, the beauty of brass works perfectly for bathrooms of all shapes and sizes. The chevron tile offers endless possibilities. 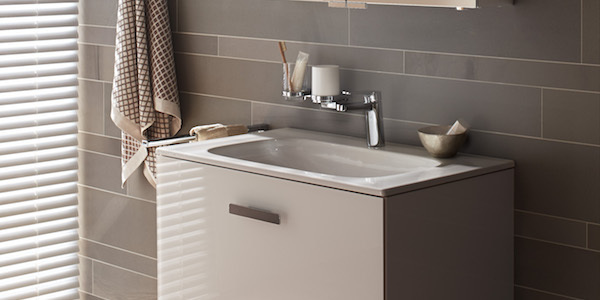 Whether you choose to tile the whole bathroom in one shade, create a feature in your favourite colour, or create a cascade of complementing chevrons to really steal the spotlight, this is a tile that creates an urban contemporary feel. For the ultimate bathing experience, a free standing bath is a must and in covetable copper, the look creates a stylish statement that is instantly inviting. 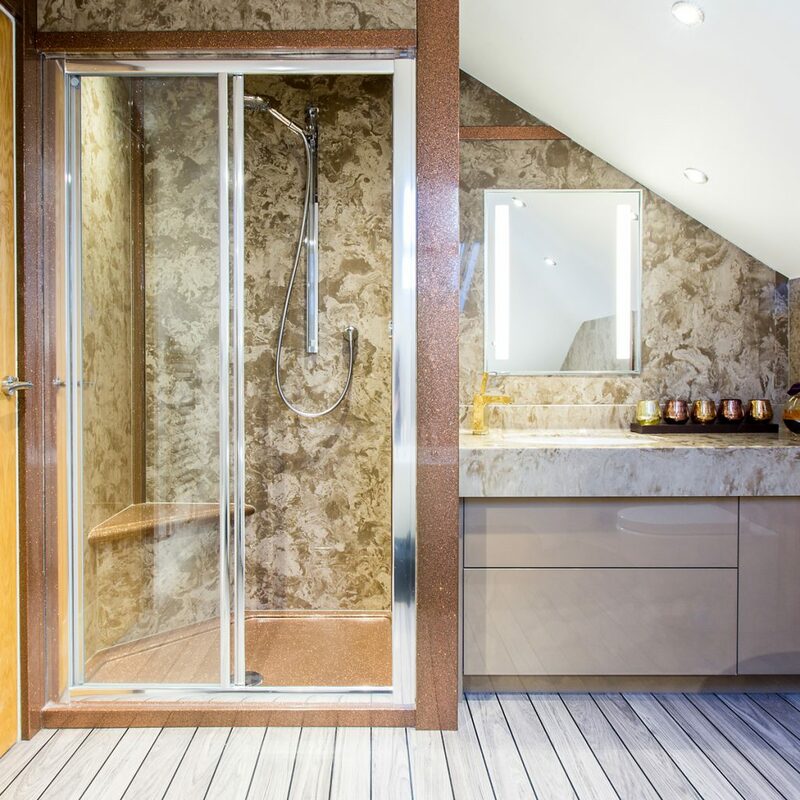 Undeniably luxurious, the introduction of copper to your bathroom is every bit on-trend and works with all kinds of colour palettes. 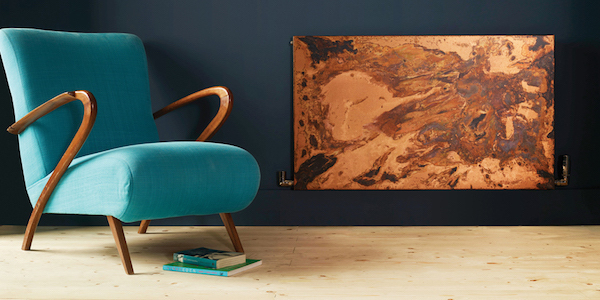 A Copper radiator from Bisque would be a fantastic feature in any bathroom. Marble shows no sign off disappearing from the interior world and from vanity tops to feature panels, Versital’s unrivalled collection of marble finish surfaces will certainly leave you spoilt for choice with over 90 options to choose from. 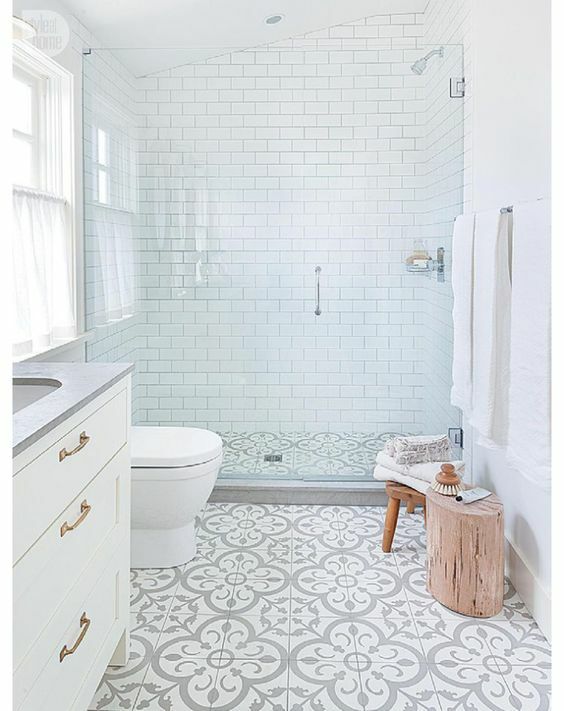 The floor may not seem like the most obvious place to start when your updating or renovating your bathroom, however the addition of a tiled floor inspired by a Moroccan bazaar will give your bathroom a truly glamorous feel. Keep your fittings and interiors minimalistic to really let your floor stand out. No matter the style of hotel inspired bathroom you desire, at Langley Interiors we have everything you need to bring your bathroom look to life with brands like Bisque, Keuco and Versital to name but a few. 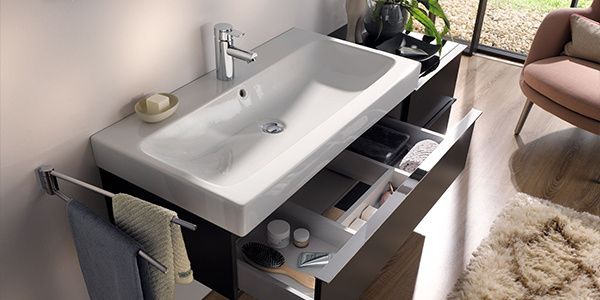 For more ideas and inspiration to create your own hotel style bathroom we would love to invite you to visit our bathroom showroom in Bolton. Please call us on 01204 525432 for a personal appointment. 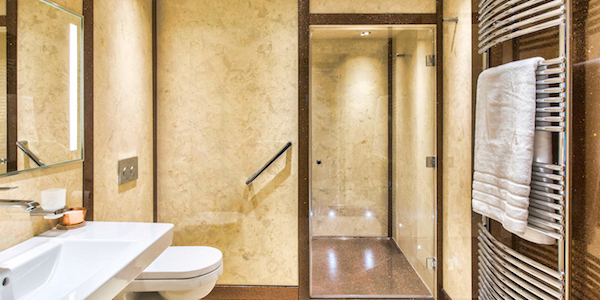 You can also see lots more bathroom design ideas and past bathroom projects in our project gallery.